The remark came just four days after Israeli Prime Minister Netanyahu praised major improvements in Israeli ties with Arab countries. The official Twitter account of the Israeli Foreign Ministry has wished the Saudi Arabian team good luck in the FIFA opening match vs. Russia on June 14. 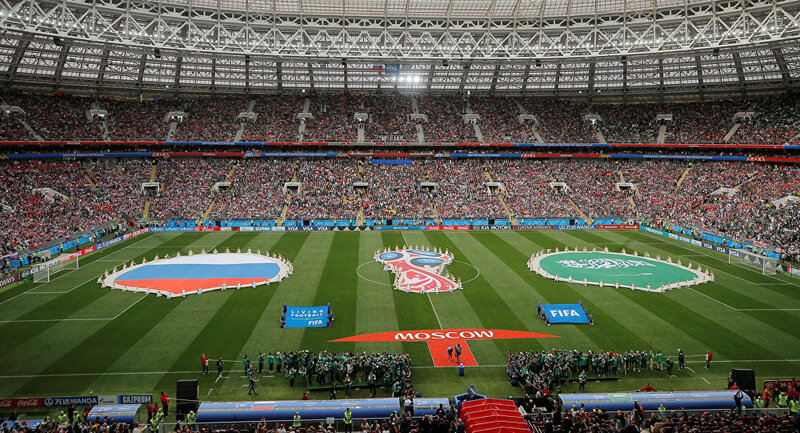 "The Saudi team is about to play the opening match in the World Cup against Russia after 12 years of absence. The team's star is Mohammad Al-Sahlawi. The Saudis succeeded in reaching the round of 16 in the 1994 World Cup. Best of luck!," the tweet read. The statement comes just four days after Netanyahu's statement on Sunday in which he praised the rapidly improving relations between Tel Aviv and Arab nations. — إسرائيل بالعربية (@IsraelArabic) 14 июня 2018 г. The politician stressed that the positive tendency was "beyond imagination" and predicted that Israel will be able to "achieve peace with our Palestinians neighbors." The existing tensions between Israel and Palestine have significantly worsened over the past several months. The Israeli side has been using lethal force to suppress the rallies citing security concerns and putting the blame for the escalation on Hamas, which governs the Gaza Strip. Tensions were fueled on May 14, when the United States relocated its Embassy in Israel from Tel Aviv to Jerusalem, which is claimed capital by both Israel and the State of Palestine. The 2018 World Cup takes place in Russia from June 14 until July 15.